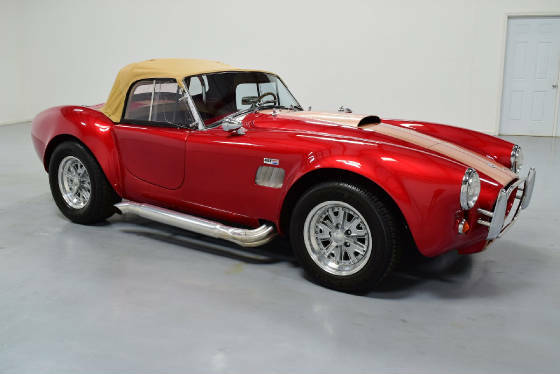 This month’s Great Oklahoma Classic is a beautiful 1965 Shelby Cobra Replica owned by Glen Summers of Stillwater Oklahoma. 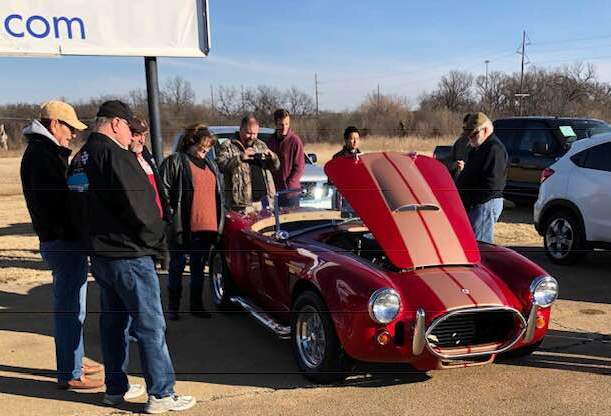 Glen showing off the Cobra to the folks at the monthly Cars and Coffee sponsored by Sixth Avenue Honda in Stillwater Oklahoma. Glen is a long time member of the Stillwater Antique and Classic Car Club. 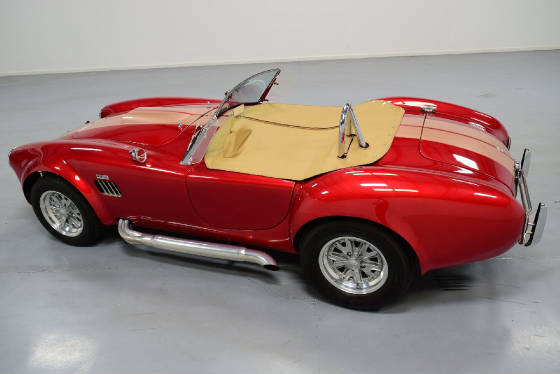 The next best option to a real AC Cobra is to find a replica that you can drive and enjoy. Glen had always admired the Cobras but just didn’t want to spend that kind of money on a hobby. 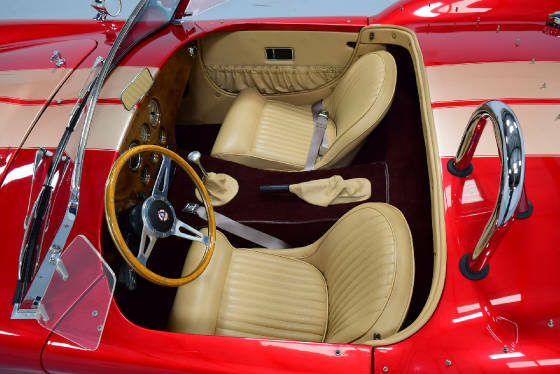 But when he turned 80 years old he decided it was now or never to own one of his dream cars. 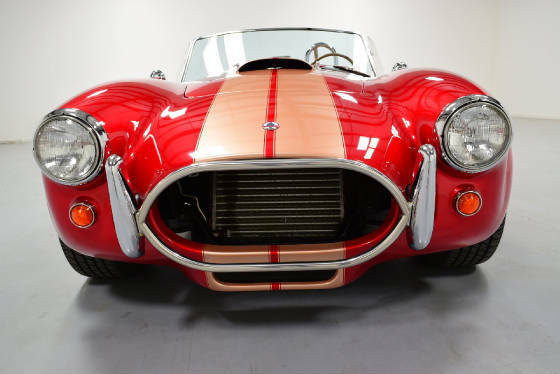 The Cobra was actually built in 1998 in Florida for Peter Mayer according to Peter’s specifications. 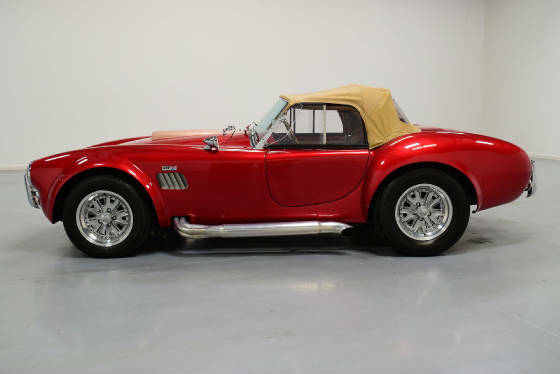 The Cobra rides on Goodyear Eagle GT II tires mounted on custom polished aluminum wheels. 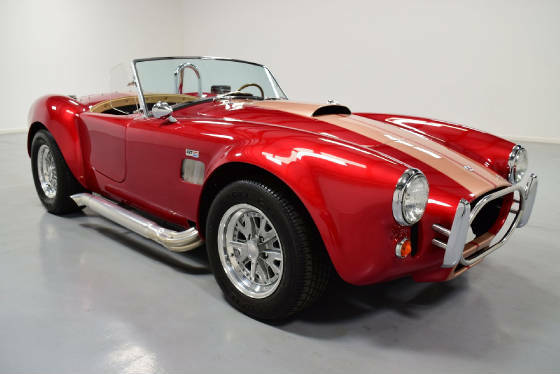 The Cobra has all the comforts of a modern day sports car such as: automatic four speed overdrive transmission, tilt steering wheel, power disc brakes, cruise control, AM/FM/CD Radio, chrome roll bar, rack and pinion steering, four wheel coil over shocks and cowl induction hood and air conditioning! This beauty only has 2529 miles on the vehicle since it was built in 1998! 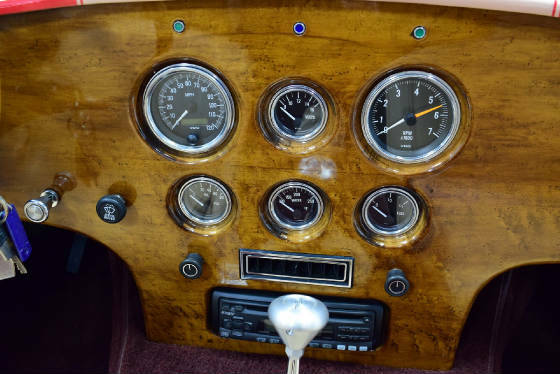 The tan bucket seats highlight the Cobra’s tan stripes and the VDO gauges really stand out in the custom wood grain dash. 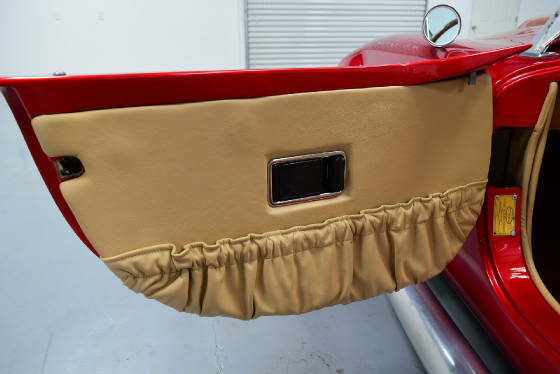 The A/C and radio are additions that you don't typically see on these replica cobras. 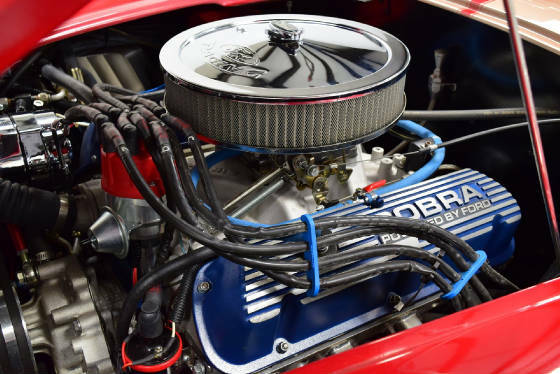 Powered by a Ford 351 Windsor V8 bored to 399 cubic inch, this Cobra sounds absolutely incredible with the Side Exhaust System and you can hear and feel the custom Hi-Pro Cam and Long Stroked Windsor. The Ford produces an incredible 501 horsepower at 5800 RPM and huge 508 pounds feet of torque at 4300 RPM. Glen has the 2010 Dyno Sheet to back it up! 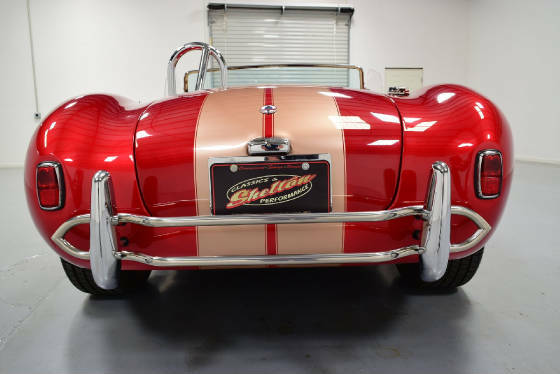 The beautiful paint is called Laser Red Metallic with Tan Stripes and matching Tan Soft Top and Tonneau Cover. 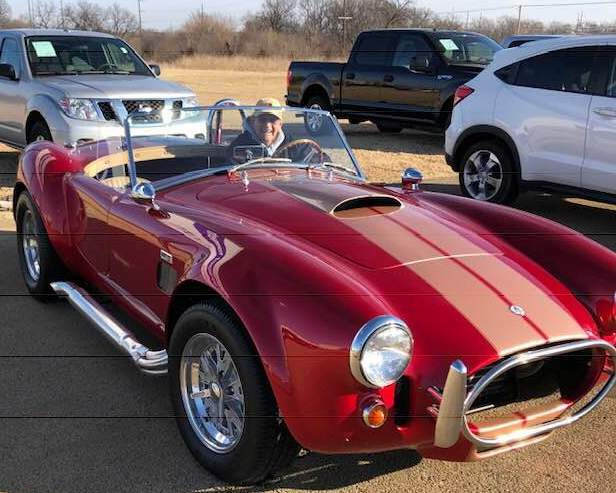 The Cimarron Starlite Cruisers sincerely appreciate Glen Summers of Stillwater Oklahoma for sharing his beautiful AC Cobra Replica as our Great Oklahoma Classic for February 2019.